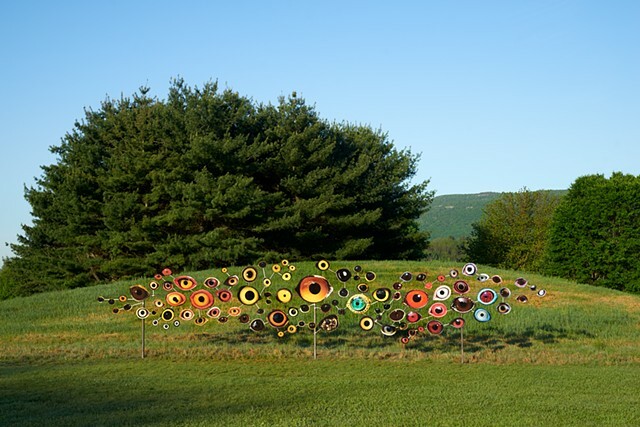 In that spirit, Birds Watching reminds us that truly seeing is a reciprocal act. Mass media imagery and omnipresent screens skew our sense of vision toward a one-way consumption, contributing to our feeling of being at a remove from the world. When we fall into this limited, non-participatory vision, what we see tends to confirm our biases and stereotypes—flattening other beings, like birds, into “things.” This objectifying gaze has become the default, but what about other gazes?—the gaze of mutual curiosity, the gaze of respect—or even of love? Can we re-enchant the way we see, bringing back its full depth of field—and depth of feeling—restoring to these non-human others their full being-ness? And most potently, when our act of seeing is reciprocated by another being, this mutual gaze involves us in an active participation with and within our vibrant biosphere. Relearning the ability to look deeply at nature engages us in the enfolding, participatory act of living—re-weaving our entanglements with the rest of the natural world. We cannot solely be spectators in this age of the Anthropocene, when our empathy for other beings—or lack thereof—has itself become an ecological force. Truly seeing can be a first step towards practicing a renewed ethos of mutualism and care. 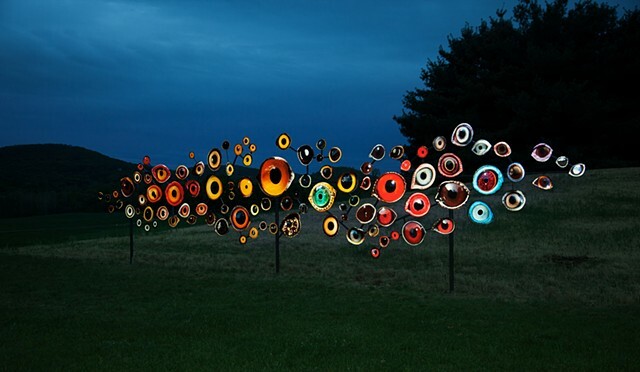 Birds Watching reminds us that when we look at nature, nature looks back. From Hyperallergic: "Among such works, Jenny Kendler’s crowd pleasing “Birds Watching” (2018) takes a particularly imaginative approach. 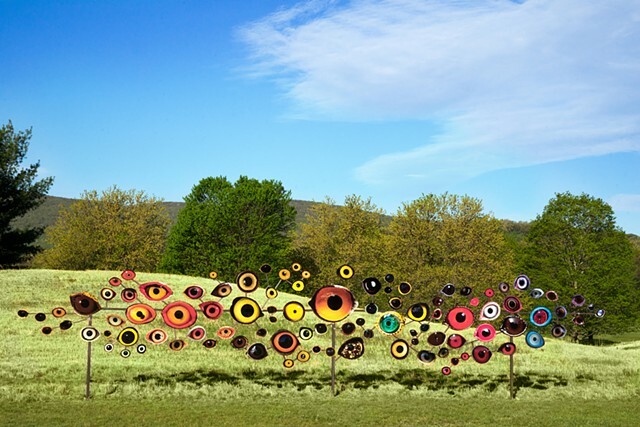 Across the length of a 40-foot steel frame, the artist has affixed 100 images of variously sized and colored birds’ eyes — all species imperiled by climate change. 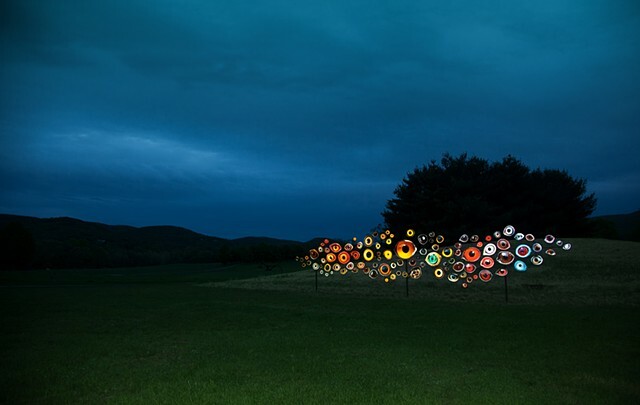 At a glance, this cluster of concentric color looks like a whimsical shooting range or a floral bouquet. Upon further inspection, the viewer finds her or himself being viewed by a quizzical and accusatory collective stare. 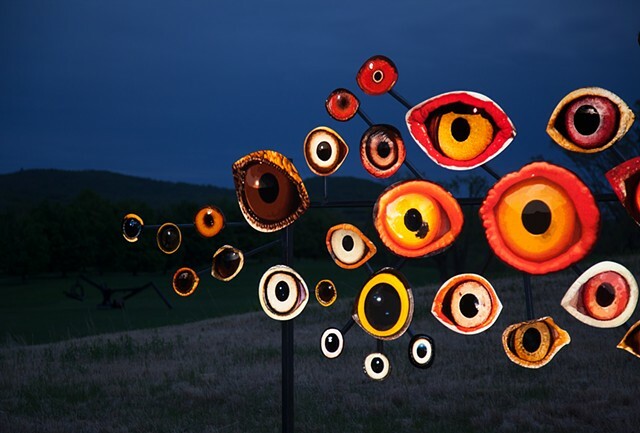 This horde of disembodied eyes, each printed on shiny reflective film, reverses the customary human-bird watcher/watched dynamic to incarnate something like an interspecies conscience."